Feel you could benefit from some one on one counseling? Please give us a call. Who needs counselling (and what is it)? 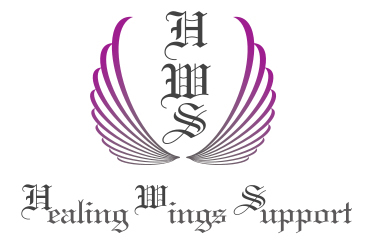 At Healing Wings Support, you will always have the help of fully qualified counsellors and members of British Association for Counselling and Psychotherapy (BACP), to support you through any difficult times. Has your relationship (with your partner or children) become poor and negative? Is someone’s behaviour stopping you moving forward? Are you walking on eggshells most of the time? Are you just coping or living like roommates? Are you dealing with betrayal or unfaithfulness? Do you feel you cannot forgive ? Are you staying together with your partner for the sake of the children? Are you harbouring hidden emotional pain that you cannot tell anyone about? We specialise in and are deeply committed to working with women and families. Separation, divorce and step-family life. Person centered Solution – focused brief therapy. This is what a few people have to say Full names are not published. Hope you understand. After I had retired I was still having problems which could no longer be put down to the stress of work. I went to Abigal because I was suffering from very low self esteem, didn’t now how I could survive to be around for my grand children and believed I was a failure and not really loved. This was despite having battled dyslexia, got to a position of being a highly successful and respected teacher. My family and friends believed I was intelligent had done better than most. However it took time to overcome my early problems and my parents had two younger children who had no problems with gaining good grades at school and having much better paid careers than mine. This meant I for many years I was regarded as the problem child. Although I managed to get closure from my Father before he died I could not get that from my mother. After the sessions with Abigail she helped to overcome my problems and also helped me through the trauma of having my little brother dying of cancer. I now feel confident and am looking forward to whatever the future holds! Hi Abigail , Thank you for seeing us. It was helpful experience, one which we think most useful when sought for, as early as possible. Your session allowed us to understand each other without the pressure of rear of mis-communication and misunderstanding. We are qualified to help you. Below are the questions that most clients, and families of clients, ask with regards to our counselling service. Sessions last for 50 minutes for individuals, 1 hour for couples, and 1.5 hours for families. How regular are the sessions? When are sessions generally available? Day, Evening and Weekend appointments are available, but may vary from location to location. How long term or short term are the sessions? 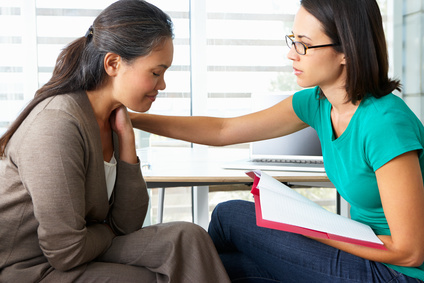 What is the process for being referred to one of your counsellors? We take referrals from GPs, from organisations, and from self referrals. How do you help patients/clients? In essence, our goal is to help clients/patients move from point A to point B in their life. These are deeply personal issues. Is it okay to discuss them with your counsellors? Yes, we understand and we offer a safe and confidential space for all clients. We run regular Support Groups every two weeks. Please have a look at our schedule, at the bottom of the “Support Group” page, or press this link. Please use the following links in an emergency.